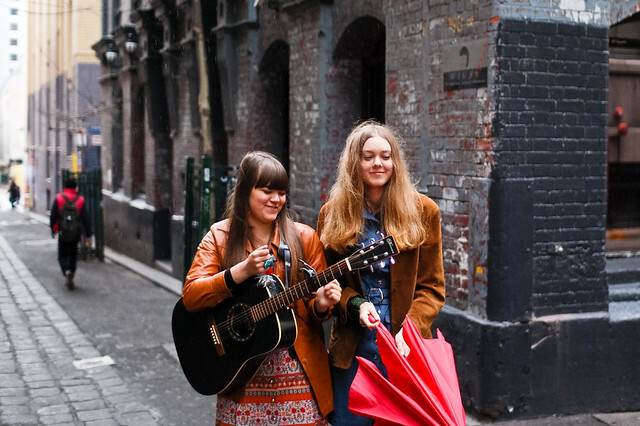 musings :: the first aid kit girls. The Swedish sisters have definitely nailed it. Admittedly, I love pretty much everything to come out of that place, but still. I don’t think that should discredit their style. They have that ultimate new-age, flower-child, seriously peaceful look. It’s like an eternal season of spring in their world – one where you frolic in fields and chase deer all day, make daisy chains and then picnic next to a calm stream. I would quite happily fall into their little world and stay there. But until that happens, these style shots will help me prep for the glorious spring time. Counting down the days.